The Royal Wedding of Princess Eugenie and Jack Brooksbank has been dreamy. Every wedding is full of meaning and details that make the whole very special and unique to the families. The Queen’s granddaughter Princess Eugenie had major surgery on her back to treat a curvature of the spine at the age of 12 that left a scar along her back. She decided that she wanted a dress that would show her scoliosis scar as a tribute to what she has been through and the people that have helped her along the way of recovery. “I think you can change what beauty is” she said. At Girl Meets Dress we help hundreds of women find the perfect dress hire in London and abroad for that special occasion, our women are so different but they all want to wear an elegant dress that makes them look gorgeous. We always speak about the importance of being aware of your body type and what suits you best but it is also extremely necessary to empower females so that women feel comfortable in their own skin and learn to appreciate every inch of their bodies and what they have been through, self-love, confidence and acceptance topped up with a gorgeous designer dress hire to feel extra special are the things you can’t forget when you dress up for that special occasion or just daily. Tags: Designer Close-Up, Event Reports. Designer Dress Hire UK, Dress Hire, dress hire glasgow, dress hire london, dress hire UK, dress of the week, dress rental, dress rental london, dress rental uk, Event Reports, Features. borrow a dress, girls meets dress, GMD Daily. designer dress hire, hire a dress, hire a dress UK, hire designer dresses uk, hire dress, Hire dresses, princess eugenie dress, princess eugenie scar, princess eugenie wedding dress, princess eugnie scoliosis, rent a dress, rent a dress london, Rent a dress uk, Rent designer dresses, rent designer dresses uk, rent dress london, rent dresses uk, rent the runway uk, Rent the Runway UK equivalent, Royal Wedding. The day has finally arrived and we have to say our fashion desire has been more than fulfilled. This Royal Wedding of Princess Eugenie and Jack Brooksbank has been one full of taste and well-dressed guests. Our main focus, of course, the guests’ dresses. The Royal Wedding guests went for different autumn wedding guest styles and colours, although different shades of pink dresses and blue knee-length dresses seem to be the most popular. From left to right, Princess Beatrice in a deep royal blue dress by Ralph & Russo, The Duchess of Sussex in a dark blue Givenchy outfit and a feather-adorned hat by Noel Stewart., Ellie Goulding goes for a more fun print with this blue polka dots flowy dress and Poppy Delavigne’s baby blue lace dress by Oscar De La Renta and an oversize fascinator. From left to right, The Duchess of Cambridge in a raspberry deep pink Alexander McQueen dress with gorgeous sleeves, Holly Valance in a candy pink fitted dress by royal favourite fashion brand Ralph & Russo and Pixie Geldof in a bright wrap pink dress by Celine. Naomi Campbell wore a black dress by Ralph & Russo for the Royal Wedding and the social media star Emma Louise Connolly in a red gown by Alessandra Rich both chose a fashion-forward option that left us speechless. Tags: Dress of the Week, Event Reports, GMD Daily. designer dress hire, Designer Dress Hire UK, Dress Hire, dress hire glasgow, dress hire london, dress hire UK, dress rental, dress rental london, dress rental uk, Features. borrow a dress, girls meets dress, hire a dress, hire a dress UK, hire designer dresses uk, hire dress, Hire dresses, rent a dress, rent a dress london, Rent a dress uk, Rent designer dresses, rent designer dresses uk, rent dress london, rent dresses uk, rent the runway uk, Rent the Runway UK equivalent. 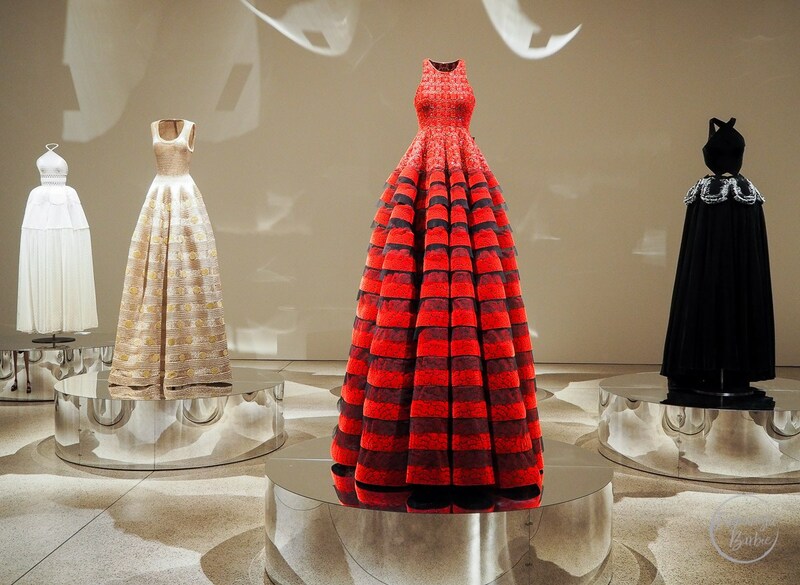 The ”Azzedine Alaia, The Couturier ” exhibition at the London Design Museum has come to an end. Hopefully you had like us the chance to go visit it. A selection of his most popular dresses along with a beautifully made film could be enjoyed by the visitors. The designer and Couturier knew better than anyone how to wrap a dress around a woman’s body, his knowledge of shapes, visual lines, fabrics and proportions made him able to create empowering dresses that would always enhance the woman’s body and make them feel like a goddess. It is extremely important when you want to rent a dress for that special occasion to choose one that fits your body shape, your personality and the event. The understanding of your body type and particularities is something that will most likely determine how you feel and look in the dress. We always try to asses our clients on that either on emails or when they visit our dress showroom in London. Tags: Features. borrow a dress, designer dress hire, Designer Dress Hire UK, Dress Hire, dress hire glasgow, dress hire london, dress hire UK, dress rental, dress rental london, dress rental uk, girls meets dress, hire a dress, hire a dress UK, hire designer dresses uk, hire dress, Hire dresses, rent a dress, rent a dress london, Rent a dress uk, Rent designer dresses, rent designer dresses uk, rent dress london, rent dresses uk, rent the runway uk, Rent the Runway UK equivalent.